The tour always boosts my spinning mojo. 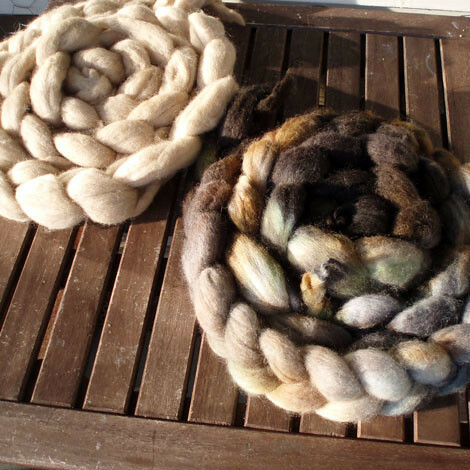 I absolutely love spinning and working with fiber, so the tour is one of those annual things I’m always looking forward to. 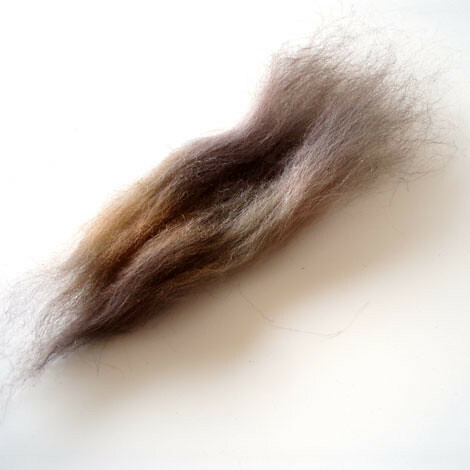 I didn’t manage to spin all of the fibers I presented a few posts ago, but I am pleased with the amount of spinning. I managed nearly 2 km of single, and I still have 300 grams to go! This post I’d like to say something about new wheels and fiber preparation. Even though the tour is over, I’ve still been spinning! 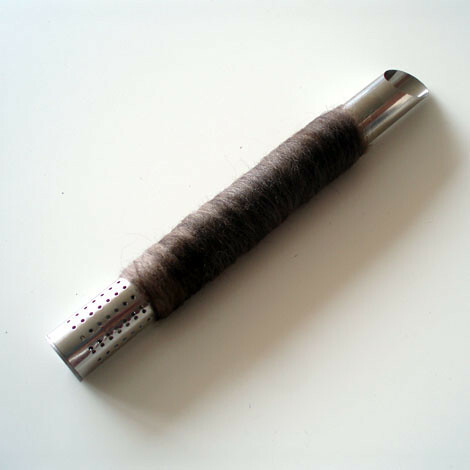 A few weeks ago I ordered a new spinning wheel from Woolmakers. It’s called a Bliss, and I’m very happy with it. If you’re looking for a nice wheel, this might be an option for you, since the introduction price has been extended until the 1st of September! I’ll post some more pictures of the wheel soon, but first I’d like to say something about fiber preparation. 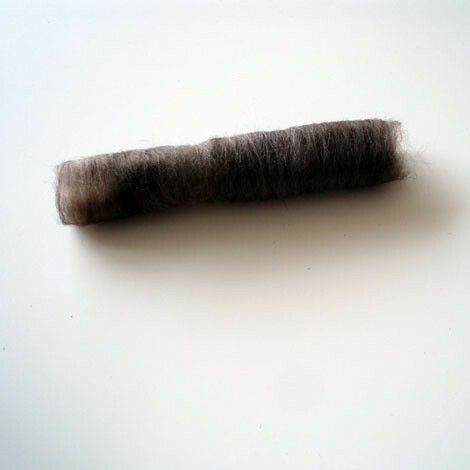 The picture above is a sample of the corriedale fiber I dyed during the tour. 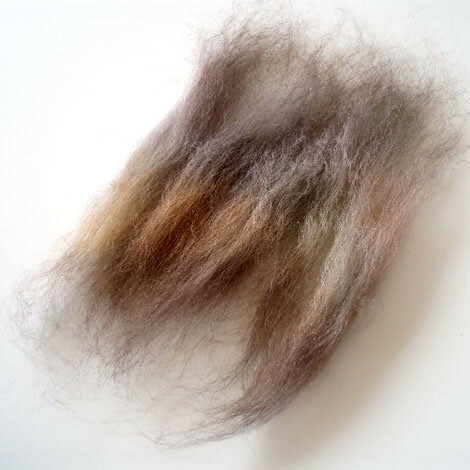 I’ve come to appreciate the luxury of commercially prepared fiber, but I still like to dye it myself. I’m not sure if it happens to everyone, but sometimes when I dye fiber it tends to become more compact and a bit more difficult to draft. In these cases I like to make faux lags to spin with. In this case I’ve also decided to make faux lags to keep the colors intact. I wanted to keep the colors as clean as possible, so the decision to chain ply the yarn was already made. I’m also not a huge fan of barber pole, so the decision was made to keep the fiber whole and make faux lags to preserve the colors, and allow for soft gradients. The nice part about faux lags is that they are ‘fake’. You only need a dowel or some kind of stick. 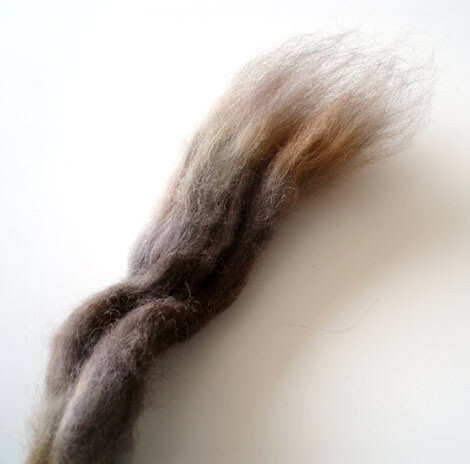 As you can see the dyed top is compacted, which makes it harder to draft while spinning. 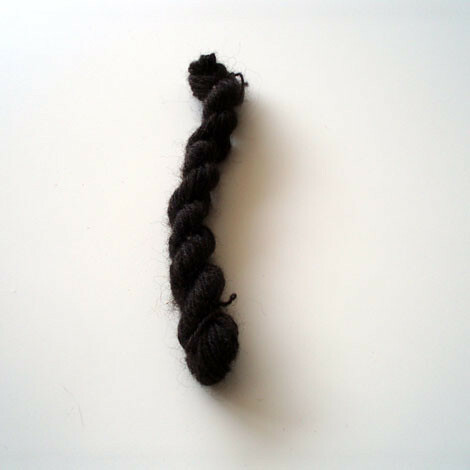 The first step is to pull off a bit (between 4″ and 6″ long), and to open up the fibers a bit. 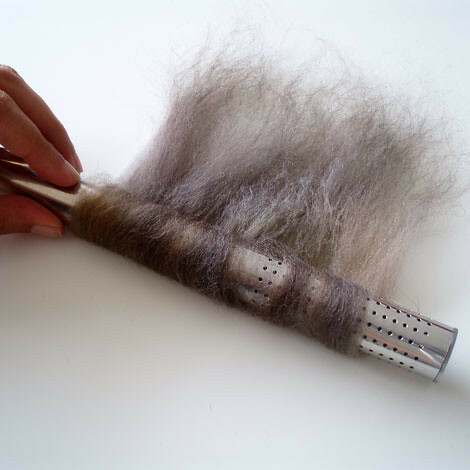 You don’t have to predraft, just make sure the fibers not sticking together. 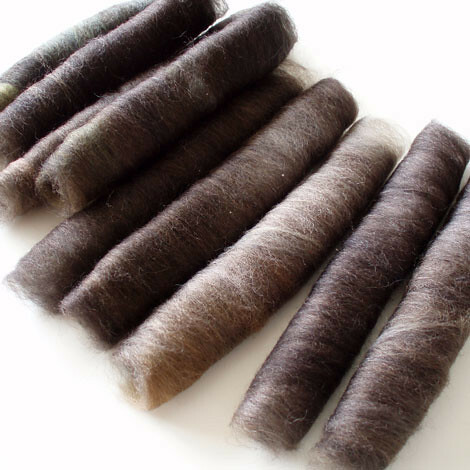 Once you have opened them up a bit the fiber will become fluffier and much easier to spin. Another reason to pull off chunks of top rather than split the top in equal parts is to keep the colors together. There will be a slight barberpole effect in the singles, but I personally like that (just in singles :P). When you’re done, lay the fiber flat and place the dowel on the fiber, rolling it up evenly. The fiber may still be a bit loose, I personally like to hold it in my hand and turn the dowel to make a more even and a bit tighter faux lag. I feel they tend to keep their shapes a bit better this way. When you are satisfied with the faux lag, gently push the faux lag off the dowel. I personally keep the faux lags in a certain order because I like to preserve the colors and keep them in the right order for as much as possible. I’ve already filled one bobbin and now I’m working on the second. 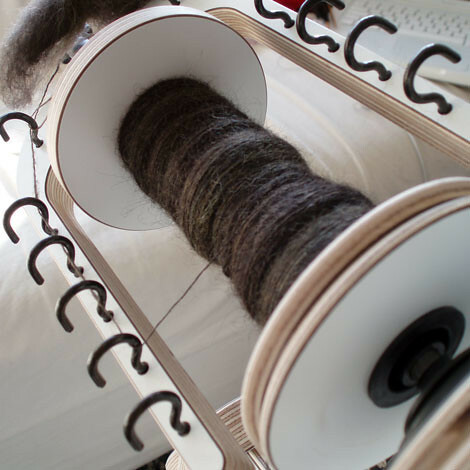 I noticed the spinning becomes a lot faster (and more enjoyable for the hands and wrists) when you spend a little more time and effort on the fiber prep.